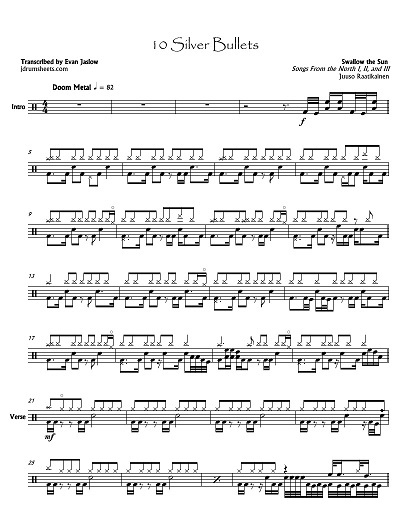 Drum tab sheet music transcription for "10 Silver Bullets" by Swallow the Sun, from the 2015 album Songs From the North I, II, and III. Jusso Raatikainen on drums. Melodic doom metal. Notation key included. Difficulty 4/5.